Yay, another Japan blog post!! I honestly have so much to write about. I’m still on Osaka, and I haven’t even started on Tokyo yet! 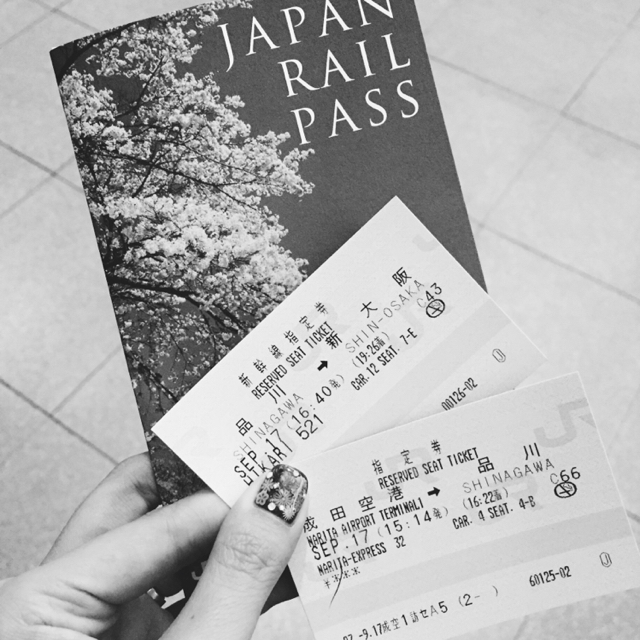 In this blog post, I’ll talk a bit about the JR Pass, as well as travelling to Osaka from Narita Airport. I gotta say, I miss Japan SO much! It’s truly one of my favourite countries to visit. The food, the people, the beautiful sights, the streets.. Everything! Anyway, for the past two times, I’ve flown via United Airlines from Singapore to Narita, because they offer very affordable tickets when you book at the right times! We got our tickets from Singapore to Narita for just SGD493 each, which is considered a low price. Most of the time, I’ll check for the cheapest ticket prices via SkyScanner, a website that searches for the cheapest airfares across 1,200 airline and travel sites. If you intend to visit a few different cities in Japan, I highly recommend the 7 days JR Pass (Japan Rail Pass): This pass gives you access to all regular trains on the JR Line, one of the biggest train companies in Japan, as well as access to almost ALL the JR Line Shinkansen (high-speed bullet trains) that travel from city to city. There is also a 14 days and 21 days JR pass if you’re travelling in Japan for 2 or 3 weeks instead! One shinkansen ride alone can easily cost two hundred dollars. For instance from Narita to Osaka, the price as seen on Hyperdia is: ¥16,700 (Ticket Fare:¥ 9,610, Seat Fee:¥ 7,090), which is the equivalent of SGD200.. By purchasing the 7 Day JR Pass, you pay one flat price of SGD364, and this will cover all your JR Line rides, including most of the shinkansens on JR Line! It was a no-brainer for us because we took the shinkansen from Narita to Osaka, from Osaka to Kyoto, and Kyoto to Tokyo! The JR Line is also a major line in Tokyo, so if you’re staying somewhere along the JR Line, it makes a lot of sense to purchase the JR Pass. 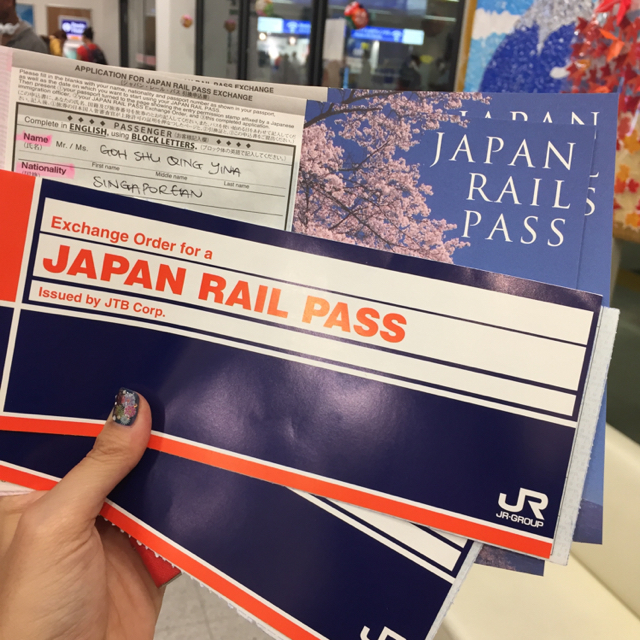 Important note: The JR Pass can only be purchased OUTSIDE of Japan, so you need to do this before you fly to Japan! In Singapore, there is a JTB agency at Takashimaya/Ngee Ann City that sells the JR Pass (exchange order). You buy it from the JTB counter, then bring it to the JR Office at the airport to get it validated and exchanged for a pass. When you purchase your JR Pass (exchange order) at JTB Singapore, you also need your passport details, if I am not mistaken. Remember, the exchange order you purchase from JTB Singapore needs to be validated when you arrive in Japan! The JR Office is located right at the railway station at Narita Airport so locating the office shouldn’t be an issue. Also, do factor about thirty minutes for this into your timetable as there’s usually a queue at the JR office. It is really not as complicated as it sounds, just ask your friendly counter assistant, who will be more than happy to help! YZ and I on the Narita Express! The weather was rather gloomy on the day we arrived, thankfully the skies cleared up the following day and we had many days of beautiful weather! Bullet trains are fun to travel in, they move super fast, and you get the see the gorgeous countryside pass by as the train goes through. I was so intrigued by the train attendants who go down the aisle selling snacks and drinks! Only in Japan, really. We took the Shinkansen from Shinagawa to Shin Osaka before transferring to the Midosuji Line to get to Shinsaibashi Station: Everything was navigated once again via Google Maps, my best friend. Osaka is a big city, and there are many choices for accommodation, especially if you book early. We booked our accommodation via Roomorama about ten days before our trip, and we were lucky to find a small ryokan, Hotel Kuramoto, very near Dotonbori, the heart of Osaka! Staying near Dotonbori was a good decision, because there is where a lot of the action as well as nightlife is in the city, and we were able to walk back easily at night. Hotel Kuramoto is only a 8-minute walk away from Dotonbori! Hotel Kuramoto is about 1.1km away from Shinsaibashi Station though, so we spent a good twenty to thirty minutes trawling our luggages through the street to get from the station to our hotel, phew! Here’s our comfortable traditional-style Japanese room, complete with tatami and futons! If it’s your first trip to Japan, or if you’ve never stayed in a ryokan before, you ought to try it either in Osaka or Kyoto, it’s a lovely experience! More expensive/larger ryokans come with traditional kaiseki Japanese breakfasts/dinners, and some even have a hot spring or public bath to complete your authentic Japanese experience. Otherwise, a small and simple ryokan like Hotel Kuramoto is quite adequate for the easy-going traveller. We stayed two nights at Hotel Kuramoto during our time in Osaka, and enjoyed the ease of convenience and its location very much! Walking back to our accommodation every night was literally a breeze in the lovely night-time weather. After we put our luggage down and freshened up, we got straight down to business and made our way to the most exciting area in Osaka: Dotonbori! Dotonbori is SUPER popular. Everyone goes there, but for good reason, there’s so many restaurants, shops and little street side stalls at Dotonbori! So if you’re wondering what we did on our first night in Dotonbori, we basically explored the streets and ate, A LOT. Of course, the famous Glico “Running Man”! It’s one of the most recognisable signs and has become a local icon in Osaka. Can you see everyone trying to take a selfie of themselves with the Running Man behind? I didn’t even attempt to.. It was way way way too crowded. The streets along Dotonbori are incredibly filled with people! 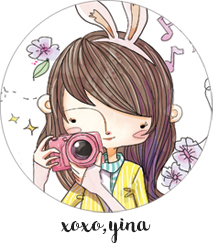 There are major retail brands like F21, as well as an entire line of restaurants, many of them with huge billboards with moving things on them like crabs, octopus, pufferfish and even… giant gyoza signages. It’s a sight to behold, only in Japan! We were very hungry so we started searching for food! Look for this delicious takoyaki stall, which is across the canal from Ichiran Ramen! I don’t know the name of this place but the queue is always abysmally long, so I think you’ll be able to spot it. According to Google Maps, it should be this restaurant! I’ve tried a few different takoyaki stalls in Osaka, and I think this is like one of the best!! The restaurant also sells okonomiyaki, but if you’re looking to grab a quick bite on-the-go, they sell takoyaki outside the restaurant! And you definitely definitely HAVE to try takoyaki in Osaka, it is miles miles better than our imported Singaporean version! Osaka is the birthplace of takoyaki (literally translated to grilled octopus) and these fluffy little balls of gooey, mochi flour batter with octopus pieces are to-die-for!! It was also mesmerizing to watch the takoyaki chefs in action as they deftly flipped the balls over and over on the round grill pans! It was either five or ten balls, so of course we went for ten (700 yen, about SGD8.50). We were sooo hungry after the long flight and train ride! Seriously, it’s Osaka, you can’t not eat, right? It was soooo mind-blowingly yummy. You need to try the real takoyaki deal in Osaka, for sure. Here’s a better picture of takoyaki: We went back for it the day we left Osaka! It’s a magic combination of deliciously gooey balls of octopus in batter served with spring onion, bonito flakes, okonomiyaki sauce and pickled ginger. The balls are crisp on the outside but soft and practically melt-in-your-mouth when you bite into one. Such heaven! We wandered into a small izakaya, Gappo, that was in one of the food alleys around Dotonbori: If I remember correctly, it was next to a Yoshinoya. It was an on-the-spur-of-the-moment decision, and completely random! I thought our meal at Gappo was surprisingly memorable, we ordered a few different kinds of yakitori, which were then grilled on-the-spot and served to us fresh and hot. In these small izakayas, you get to sit at a long counter facing the kitchen, next to whichever random stranger, we found ourselves next to a Hong Kong couple who told us they’ve been back at the izakaya two or three times during their stay in Osaka! Guess we chanced upon a hidden gem! A humble plate of grilled pork belly that was nicely marinated and so delicious! I was in love with the minced chicken meatballs. They were so flavourful! Superbly tender and juicy, yet had chewy cartilage bits in them that gave it this interesting crunch! Freshly deep-fried chicken karaage just can’t go wrong. Yum! This simple izakaya meal cost us around 2000++ yen, or around SGD25. We ordered four dishes and a drink, so it was a reasonable price! We had to let our stomachs take some time to digest, and so we ended up at the famous Don Quixote (or Donki for short)! Donki is a huge discount store, almost like the Japanese equivalent of Mustafa, except a lot cooler. 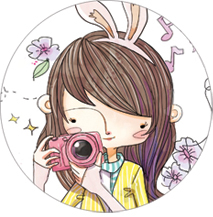 There are a few different Donkis in Japan, but all of them are about six-stories-tall, and sell everything from preloved branded leather goods, to snacks, gadgets, and even beauty products! It’s a fun place to shop at, and most important of all, it’s open 24 hours a day, just like our own Mustafa Shopping Centre! I generally like going to Donki to look at the huge array of Japanese snacks, as well as check out things like Japanese contact lenses and other interesting stuff. 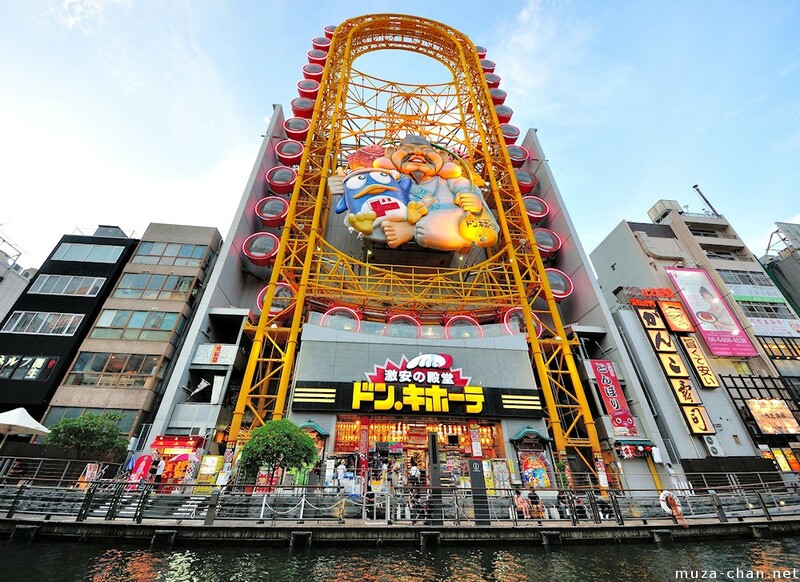 Don Quixote is easy to locate at Dotonbori: Just look for a huge yellow ferris wheel on the top of a building, with a cute cartoon penguin somewhere on it! Once you’re done shopping at Donki, it’s time for your next meal! I timed this meal for the last because Ichiran Ramen also opens 24 hours a day, which means that you can get your ramen fix ANY TIME! Also, the queue is insanely long in the day time, so I’d much rather go at night. We didn’t even have to queue! Ichiran Ramen is right beside Don Quixote at Dotonbori, you can’t miss it. Ichiran Ramen is like many other Japanese casual dining establishments, you make payment and buy your food ticket from a machine, before you enter the dining area. Ichiran Ramen only serves one kind of ramen, but you can customize it with different options! Like how hard you want the noodles to be, how thick the broth is, etc. You can also add on extra toppings like an onsen egg, spring onion, or black fungus! When seats are available, you’ll be led to a booth within the restaurant, where there is a retractable window in front of you which all you see are the staff’s hands. There’s a hidden partition behind that window where there’s a serving area for the staff to attend to you! The long dining counter is separated into booths by movable panels which you can fold away if you are sitting with a friend! If not you will be literally “面壁思过*” during your meal haha. Hand your food tickets to the staff (hidden from sight) who will then take your order, have it prepared in the kitchen, and JUST LIKE MAGIC, a bowl of ramen will appear right in front of your eyes!!! The ramen cost around 790 yen (close to SGD10) before our add-ons.. Very affordable by Japanese standards. Taste-wise, I thought the ramen was pretty good!! Should have chosen the “hardest” consistency of ramen though cos by the time I was done take photos of it the noodles were quite soft already. Two of us shared a bowl of ramen because we’d already ate so much, haha! But this was the perfect end to our first night in Osaka! Some people think that Ichiran Ramen is overrated and too hyped up, especially now that it’s very well-known among tourists. In my opinion, I think that Ichiran Ramen is still worth a visit because it’s still a good bowl of ramen, plus I enjoyed the entire Japanese dining experience! Just try not to visit during peak meal times so that you don’t have to waste precious time queuing! We ended our night well past midnight, since we didn’t have to worry about transport back to our hotel, thanks to the convenient location of our accommodation. Taxis in Osaka are slightly more affordable than in Kyoto/Tokyo though, if you really have to take one. We simply google-mapped and walked our way back to Hotel Kuramoto! One thing we didn’t get to try at Osaka/Dotonbori was Okonomiyaki, Osaka’s famous Japanese pancake! I hear that Mizuno at Dotonbori has got amazing okonomiyaki, so please try it out for me and tell me if it’s any good!